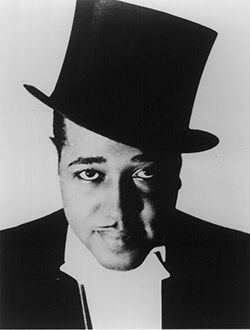 From jazz composer, bandleader and pianist Duke Ellington came a whole new genre of improvisation and musical sophistication. The list below features popular selections of Ellington's music available for rental from G. Schirmer Inc. From full length programs arranged for choir, soloists and orchestra to jazz band works and 3-minute string ensemble settings, there is an Ellington piece suitable for every ensemble. "Music is the tonal reflection of beauty." For Soloists and Orchestra, ed. by Maurice Peress, a Ballet for Orchestra arr. by Luther Henderson, or Concerto Grosso also arr. by Luther Henderson. For a complete list of Ellington's works available from G. Schirmer, please click here. "Art is dangerous. It is one of the attractions: when it ceases to be dangerous, you don't want it."